At Danforth, we take a holistic approach to a facility’s lifecycle with an emphasis on servicing mechanical equipment that supports the building’s operation. Our customers will tell you that this performance is directly correlated to equipment maintenance. Our Team offers a diverse collection of comprehensive maintenance services that are designed to save our customers time and money. As a Service Team, it is our goal to build a working relationship with building owners to help them identify and overcome the challenges that may face their facility. Through this approach, we are able to ensure that your facility is performing at an optimal level and that it will continue to do so for its lifetime. Service Your Equipment with Danforth. Meet with one of our Mechanical Service consultants. We’ll outline our process and begin your project estimate. Fill out an Online Estimate and we’ll reach out to you with a Mechanical Service proposal drafted to your exact specifications. 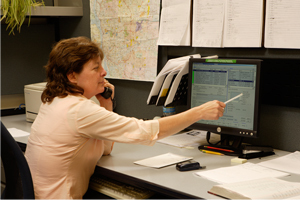 Get answers about our Mechanical Service and speak with a knowledgeable Mechanical Service Expert.